Genus of 5 species of deciduous trees and shrubs found in woodland, at woodland margins and on riverbanks in eastern China and southeastern USA. A dispute about the naming of the American species has never been resolved. Deciduous - trees and shrubs. Additional Features	- Good to know - named after Stephen Hales, (1677-1761) English physiologist, chemist and inventor. Grown for their pendent, bell-shaped flowers, winged fruits and autumn colour. There is widespread dispute over the distinctiveness of these species. Place of origin - eastern China, southeastern USA. Commonly known as: Carolina silverbell, Snowdrop tree. 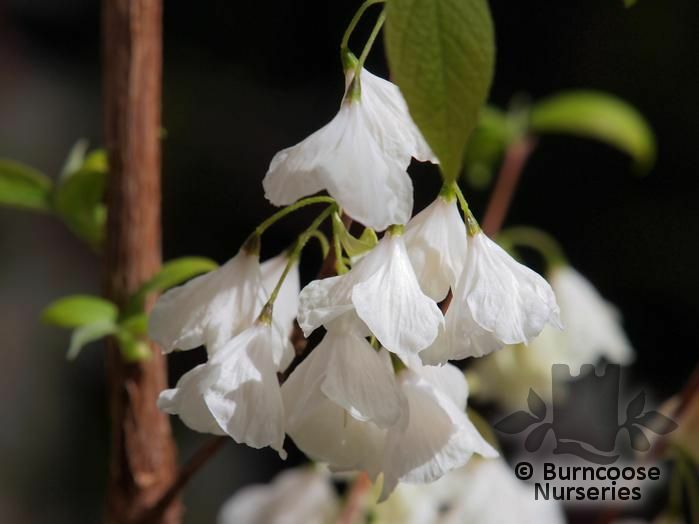 Commonly known as: Mountain silverbell, Snowdrop tree.